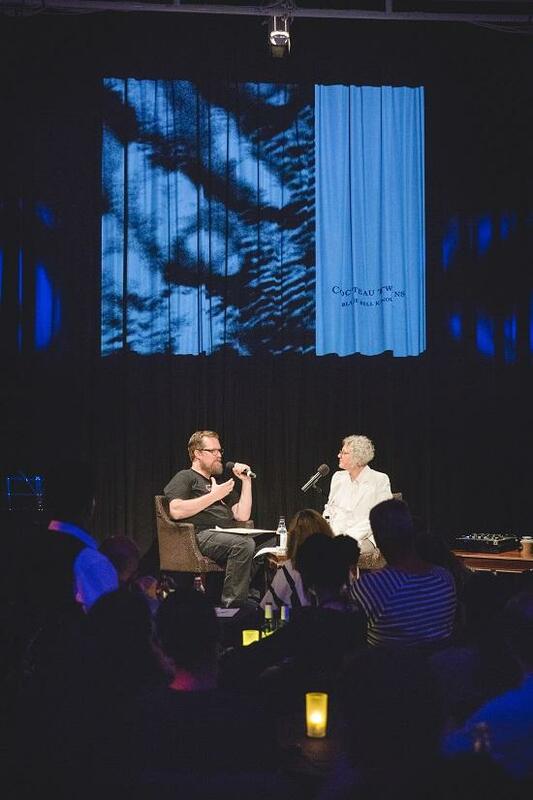 Elizabeth Fraser, the inimitable lead singer of the much-adored Cocteau Twins, made a rare public appearance last Sunday (July 23), interviewed in front of an intimate crowd by singer-songwriter John Grant to discuss the band's 1988 classic Blue Bell Knoll. Hosted to mark the 50th anniversary of the Sexual Offences Act 1967, which saw the decriminalisation of homosexuality in England and Wales, with all proceeds going to LGBT+ charity Stonewall, the Royal Albert Hall's Elgar Room sold out just seven minutes after the event was announced. 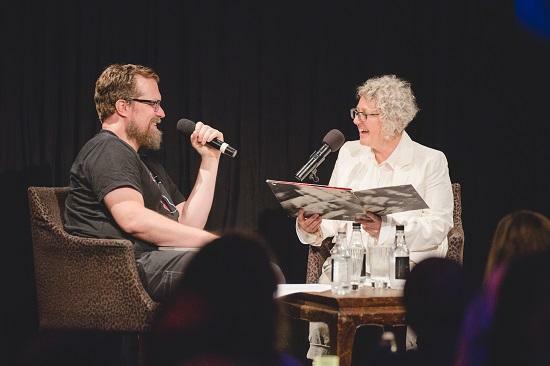 Grant's adoration of the Cocteau Twins was evident throughout his hour-long interview with Fraser. 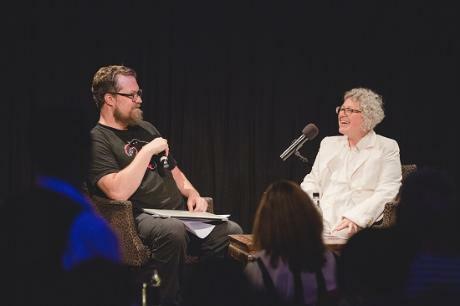 "When I'm asked what my favourite albums are I put every Cocteau Twins album in a category by itself," he said at the beginning of their conversation, while Fraser is keen to return the favour, speaking with admiration of Grant's 'zen' response when interviewed himself. Their conversation was casual and relaxed, and though not heavy on revelation felt perfectly suited to its comfortable, low-key surroundings, their audience sitting perfectly still at their candlelit tables and chairs. "I listened to [Blue Bell Knoll] for the first time in years and I cried, I just thought it was so lovely," says Fraser, remembering the creative process as an opportunity for the band to escape the pressures of their private lives. "It was quite a difficult time, and I think we just decided to throw ourselves into the creativity. Getting immersed in that process and not worrying about how it would be perceived or the outcome, just going with the flow without expectations, no endgame, just enjoy it, and if it's not working try something else." Fraser went in-depth about her famously unconventional approach to songwriting, for which she used a self-constructed language to provide lyrics. "I gained so much from [inventing language]," she told Grant. "I didn't expect it to be such a fulfilling experience, at first it was an avoidance tactic, more than that, but I must have given myself permission along the way that I was really gonna go for it and not worry about people's opinions." Of Blue Bell Knoll's lyrics in particular, she said: "I often get into trouble with lyrics in a way that wasn't happening with Blue Bell Knoll. I often get stuck with lyrics, I get into old habits and keep doing the same thing. Writing Blue Bell Knoll I had a wonderful freedom to put lyrics aside and not to worry." Grant took particular interest in the Cocteaus' song titles, asking Fraser to explain Blue Bell Knoll's. 'Athol-brose' is named after the Scottish drink, "whiskey and honey… I'd had quite a lot of that…" the singer revealed, while of 'A Kissed Out Red Floatboat', she said: "I remember I felt love, a really intense love, I was romanticising about it, a romantic image of being open and having your heart open." Ella Megalast Burls Forever, meanwhile, was written in tribute to the mother of bandmate Robin Guthrie. "She was quite a big woman, in terms of personality as well as physique, and she was very jolly and nimble; even though she was a big lady there was something very delicate about her. I just had this image of her revolving, and this going on and on forever and ever, eternally. And so she should!" Grant and Fraser also discussed their battles with self-criticism, especially when it comes to live performance. "I've struggled with a lot of fear on stage, and one of the things that made me really angry on stage was that I wasn't able to do the things I knew I could do. Did you have moments like that?" asked Grant. "I get it in the studio, it's a horror, but it's part of the journey," responded his guest. "I don't think I was confident, especially when I stopped singing. That's when the voice kicks in, really nagging you, telling you what a horrible person you are and 'what do you think you're doing'. But then you sing and it shuts up that voice, the other voice is louder… I think my insecurities mean I worry what I think about me, I don't really listen out for other opinions, whether they're complimentary or derogatory. They're not something I think about." The two also shared a number of songs by other artists, with Fraser playing a recording from 1951 of the Scottish folk singer Mary Morrison's 'Pipe Imitations', a semi-nonsensical imitation of bagpipes recorded by the folk music collector Alan Lomax in 1951. Grant, meanwhile, responded with a recording of a Cambodian song 'Oh Phnom Penh', recorded by a friend on a tour of the Killing Fields. Both also shared their mutual love of Le Mystère des Voix Bulgares, a recording of stunning a capella vocal performances from Bulgaria. "I thought 'I'm going to try and learn this off by heart, this is going to be my teacher, this is where my education's gonna come from,' thinking that one day I'll get to the bottom of it," said Fraser. "I never did. There were parts of songs where I'd draw blank, it's just so alien… what a thing to aspire to." 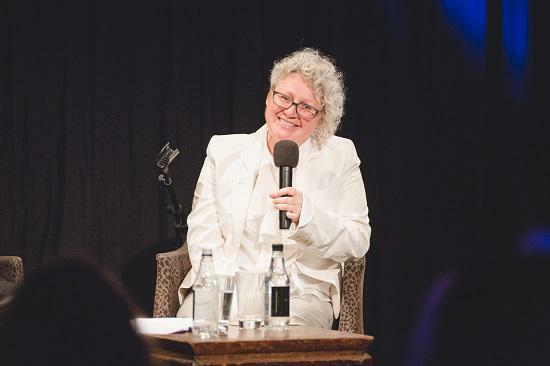 After the room was treated to a playback of Blue Bell Knoll, a short audience Q+A followed, with many fans taking the opportunity to share intensely personal reflections on what the music of the Cocteau Twins meant to them. Responding to one particularly precocious member of the crowd, who requested the two collaborate, Grant and Fraser kept their cards close to their chests. "It would be an incredible thing and I'd certainly be very open to it. There has to be a good idea, something that feels natural…" said Grant. "He doesn't need to persuade me!" ended Fraser.